SERVED MONDAY - SATURDAY UNTIL 4PM. The chicken, shredded beef and pork for our tacos, burritos and enchiladas is cooked with bell peppers, onions and tomatoes. The ground beef for our tacos, burritos and enchiladas is cooked with onions and tomatoes. 1 Taco, 1 enchilada and choice of Mexican rice or refried beans. 1 Chile relleno, 1 taco, refried beans and guacamole salad. 1 Burrito, Mexican rice and refried beans. 1 Taco, Mexican rice and refried beans. 1 Enchilada, Mexican rice and refried beans. 1 Bean burrito, 1 cheese enchilada and Mexican rice. 2 Tacos and a choice of Mexican rice or refried beans. 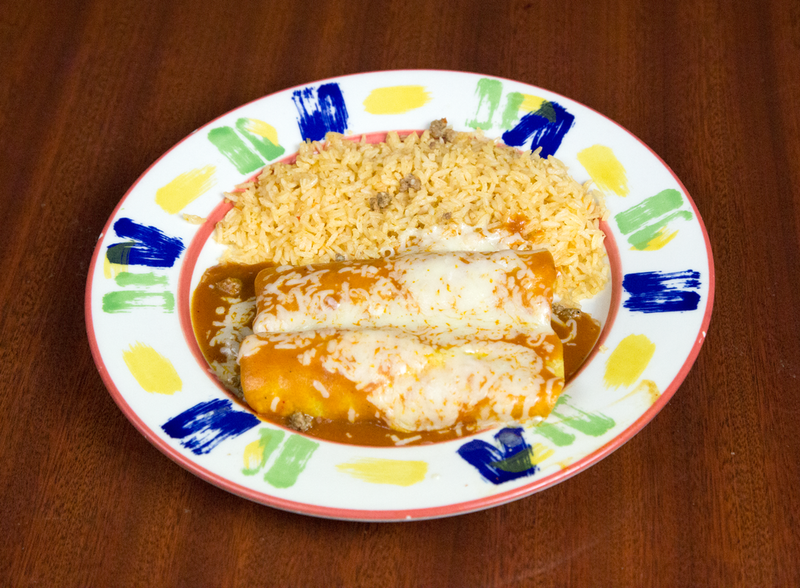 2 Enchiladas and choice of Mexican rice or refried beans. 1 Cheese quesadilla, Mexican rice and guacamole salad. 1 Tamal, Mexican rice and refried beans. BEST LUNCH DEAL! Beef or chicken fajitas, guacamole, sour cream, Mexican rice and refried beans. Choice of corn or flour tortillas. 1 Large taco shell filled with chicken, lettuce, tomato, shredded cheese and sour cream. 2 Eggs topped with Mexican red sauce served with Mexican rice and refried beans. Choice of flour or corn tortillas. 6 grilled shrimp over a bed of Mexican rice topped with our signature cheese sauce. Pieces of beef or chicken wrapped in a fried flour tortilla and topped with cheese dip. Served with Mexican rice and choice of refried beans or guacamole salad. Order of Three. Your choice of chicken or beef in soft shell flour tortilla. Order of Three. Your choice of chicken or beef in hard shell corn tortillas. Order of Two. Your choice of chicken, beans or beef topped with lettuce, guacamole and tomato. Order of Three ground beef meatball stuffed with a slice of geen pepper and covered with American cheese. One quesadilla with your choice of chicken or beef. Order of Three pork or vegetarian. 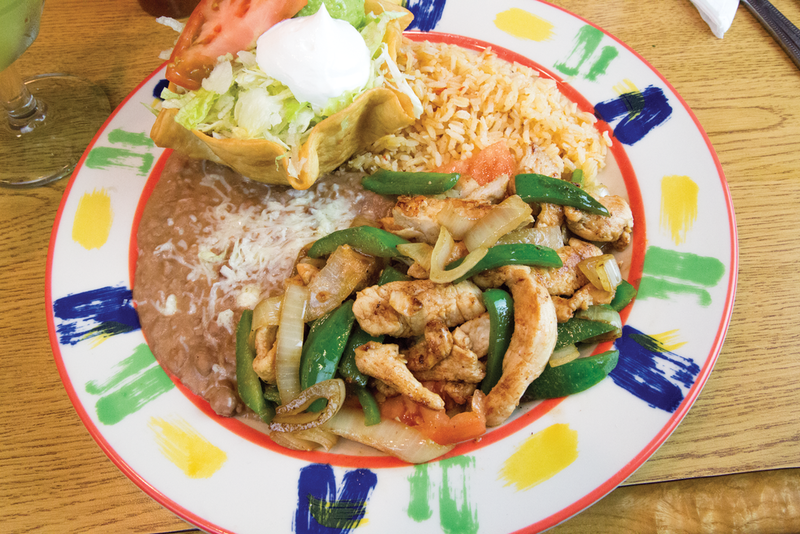 One flat toasted corn tortilla topped with your choice of chicken or beef, lettuce and tomato. Order of Three. Your choice of chicken or beef. Order of Two. Your choice of chicken or beef.